Yeah no I just can’t get behind the main character of this show. 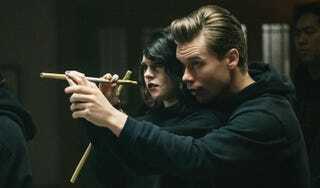 Welcome to the Deadly Class episode 3 “Snake Pit” Spoilerific reaction thread, where you can share your thoughts on the show as it plays out or after it’s done. If you have any reviews you’d like shared, post them down in the comments and I’ll post them up here. Murder of the Night: Doctor Green in the Hallway with a Hammer.